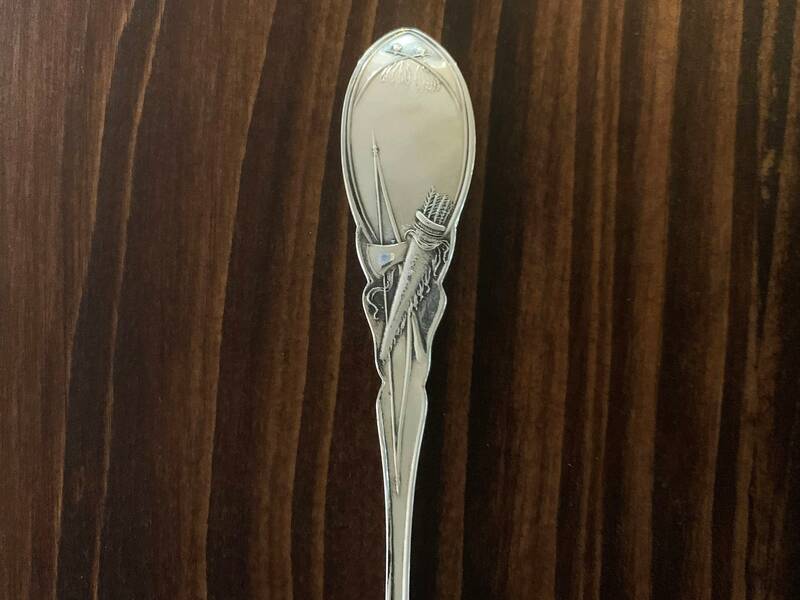 This American heirloom makes the perfect addition to any collection. 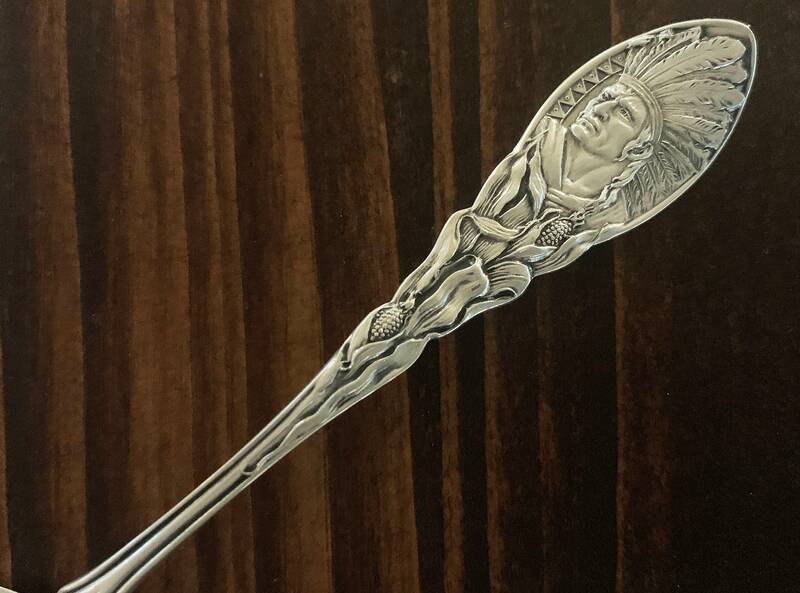 Crafted in the early 1900's, this sterling souvenir spoon features an elaborate handle complete with a Native American Chief emerging from a bushel of corn. 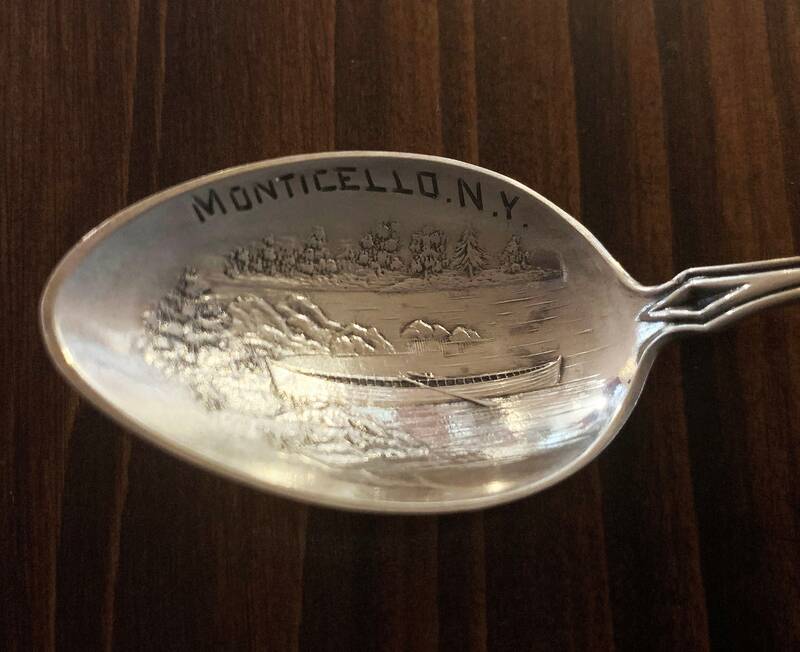 The spoon itself is engraved with "Monticello N.Y." above a lovely lakefront scene. 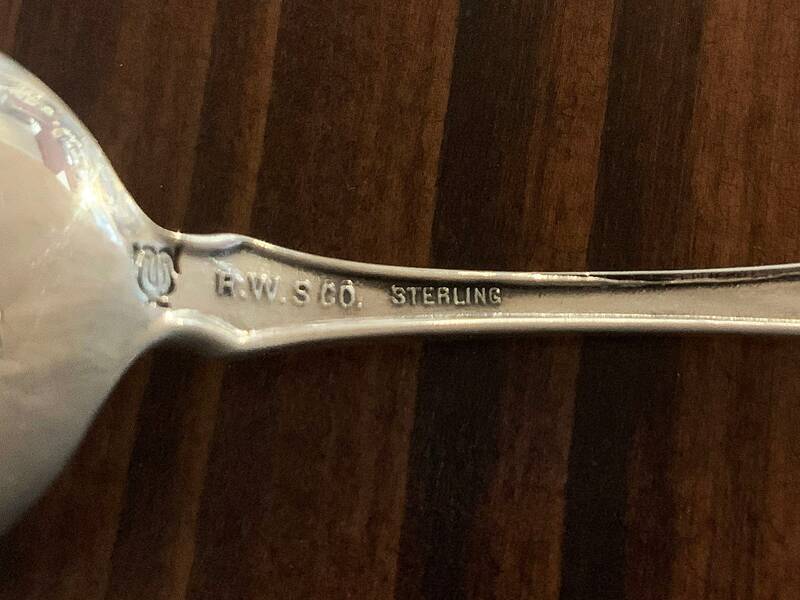 Founded in 1900 in Providence, Rhode Island, the Roger Williams Silver Co. succeeded Howard Sterling Silver Co. In 1903, the company merged with Mauser Mfg. Co and Hayes & McFarland, forming the Mt. Vernon Company Silversmiths Inc. which remained in operation until 1913 when it was purchased by Gorham Corporation. 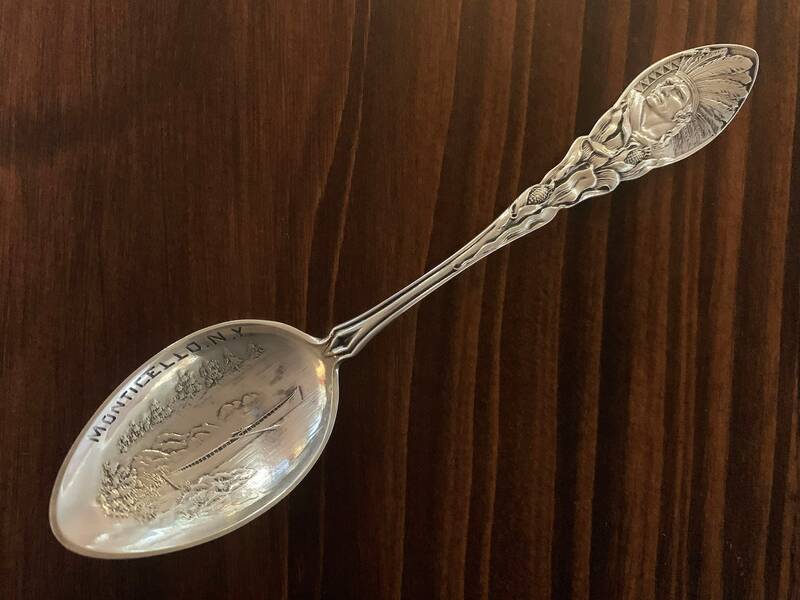 Today, the Roger Williams Silver Co. is remembered for their fine silver flatware, holloware, souvenirs and novelties.